This large capacity 2 horsepower, two speed pool pump combines durable corrosion-proof construction with state-of-the-art performance for years of trouble-free service. You will enjoy its clear, easy-open strainer lid, super-sized, 110 cubic inch basket and super quiet operation. Rely on Hayward Super Pump's totally balanced, efficient Noryl impeller to produce higher flow rates at less horsepower than other pumps, so you can run your pump less and save on electricity. Easily installs on existing in-ground pool systems with a unique, stable mounting base for additional versatility. 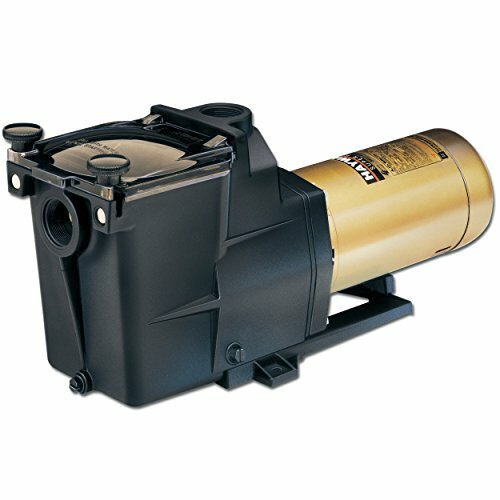 Hayward Super Pumps use high performance thermoplastics like PermaGlass XL for the body, Lexan for the strainer lid and Noryl for the impeller. Features 2 inch intake and discharge ports, operates on 115/230 volts and is U.L. listed.